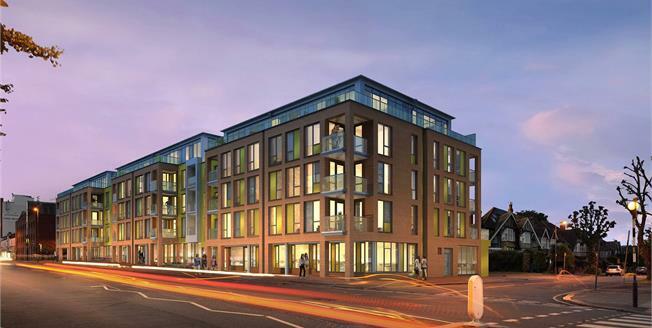 SHARED OWNERSHIP APARTMENTS... LAST REMAINING! 35% Shared Ownership prices from £146,125 (one bed) and from£175,000 (two bed) - details on request. Trinity Square offers a stylish collection of 2 & 3 bedroom apartments in the heart of North London. Located on High Road Finchley, Trinity Square is located minutes from boutique eateries and open green spaces; ideal for first time buyers and growing families. Fitted with a high quality specification throughout including fully fitted kitchen & integrated appliances there is something for everyone at Trinity Square in North Finchley. Available to own through Shared Ownership, take advantage of an amazing opportunity to own a home in London! Trinity Square is well located just a few minutes' walk from Woodside Park on the Northern Line. Two main bus routes run close to Trinity Square, making it easy to reach destinations all over the city. The A1000 leads directly to the A406 North Circular Road, giving access to the M1 and M25. PLEASE CALL US TO ARRANGE A VIEWING APPOINTMENT!